Google's event is almost there and Android lead Hiroshi Lockheimer hits about the upcoming October 4th event has sparked all manner of chit-chat about Google's so-called Andromeda OS. The long-awaited marriage of Android and Chrome OS, which has apparently been tested on the Google Nexus 9 in recent times, is likely to be shown off at the confirmed media gathering. Now, we're hearing details of an Andromeda-powered device codenamed Bison, which could launch as the Pixel 3 during the second half of next year. The device is said to be a laptop that will double up as a tablet, which aligns with the notion that Andromeda's development is geared towards 2-in-1 tablet-notebook hybrids. Apparently, Bison will get a 12.3-inch touch display, an Intel m3 or Core i5 processor, 8 or 16 gigs of RAM, and 32 or 128 GB of real estate. Elsewhere, there will be a purported 10-hour battery life, stereo speakers, dual USB Type-C ports, stylus support and an abundance of sensors. Despite the healthy collection of power, the device will be rather svelte at 10 millimeters thin, and will start at a price of $799. By the sound of things, Google wants a piece of the market for portable, powerful productivity devices. Given the specs and inclusion of stylus support, the likes of the Microsoft Surface and Apple's iPad Pro could be within reach of the Pixel 3 and, more broadly speaking, Andromeda. Whilst the upcoming platform will combine elements of Android and Chrome OS, specific details of how the platform will function have yet to be revealed. 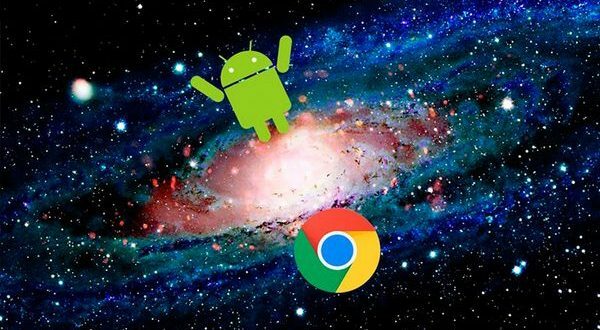 Android Police's David Ruddock suggests that Andromeda will, however, focus on baking Chrome features into a predominantly Android-based initiative. Hopefully we'll learn more of what this entails as the October 4th event draws closer. We're making a few big leaps of presumption, but could you envisage a like-minded Google device stealing you away from your iPad Pro or Surface device? Be sure to leave your thoughts in the comments.